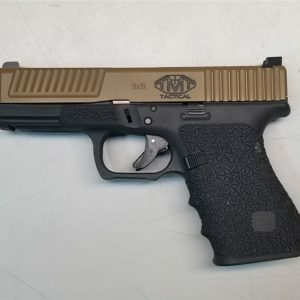 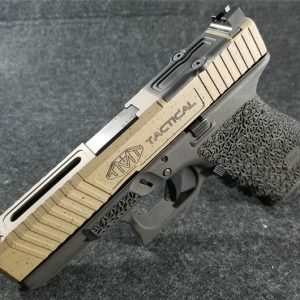 Custom Glock 19 GEN 4, from TMT Tactical. 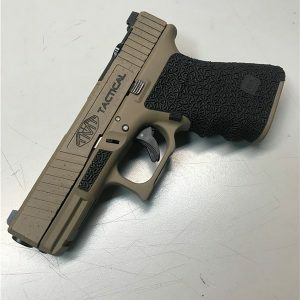 The Glock 19 features a custom slide that includes a beveled front, extended cocking serrations, custom American Flag engraving, and check press pads, and cut to accept a Trijicon RMR. 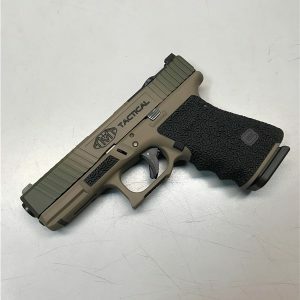 The frame is beautifully hand stippled and sports a rounded weak-hand trigger guard, with trigger work done. 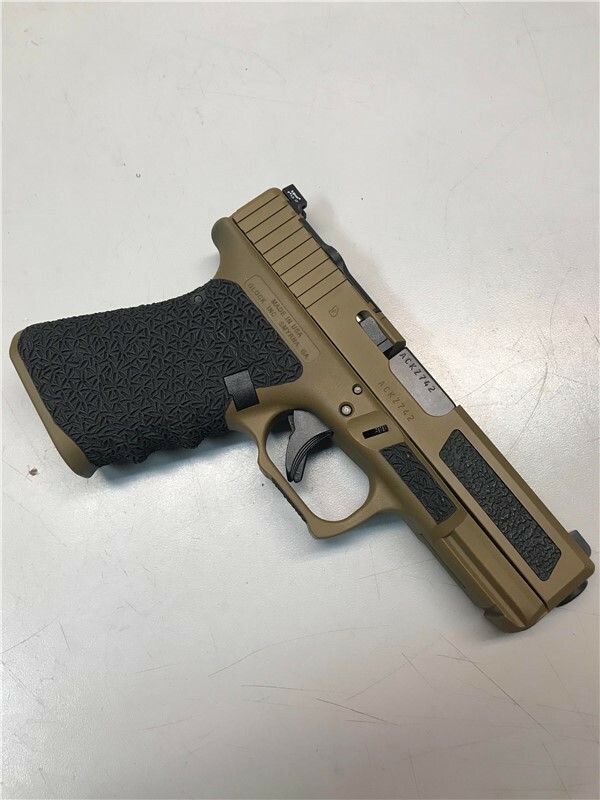 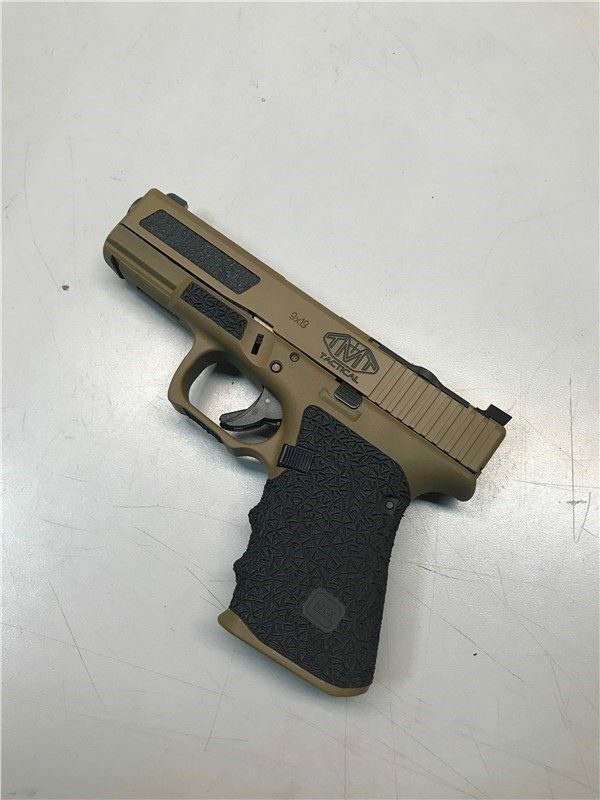 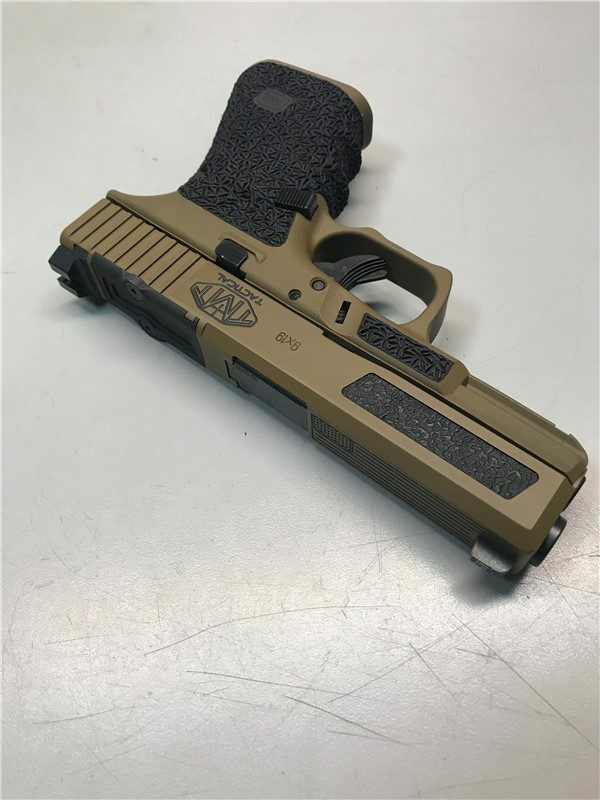 The gun is finished in FDE Cerakote.